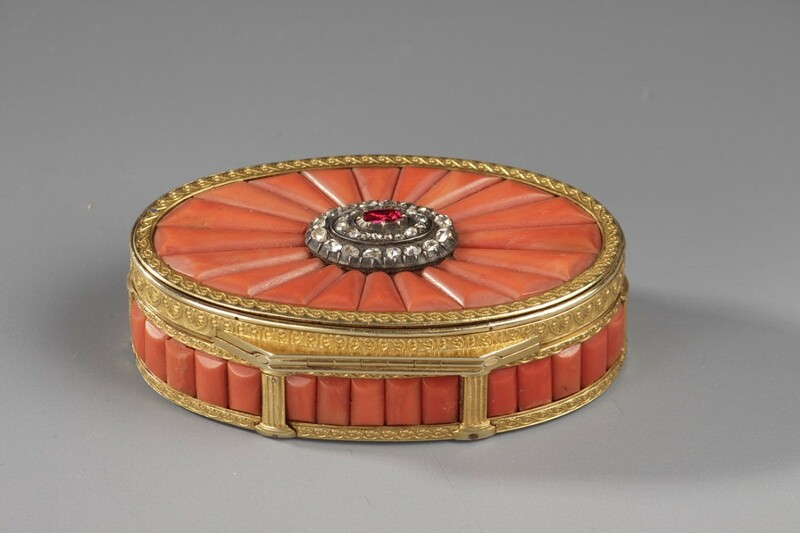 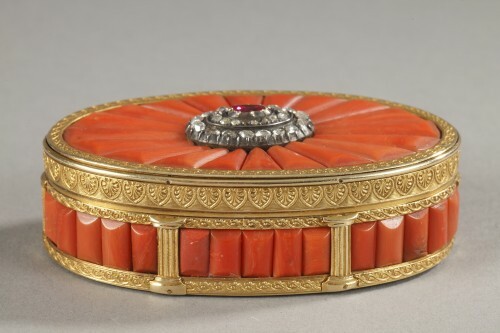 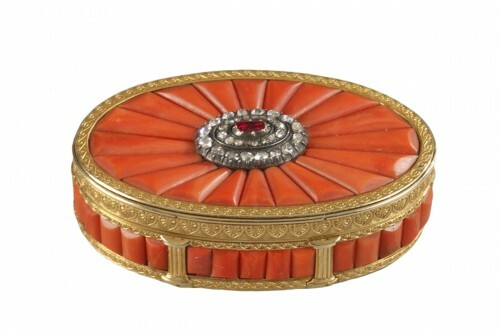 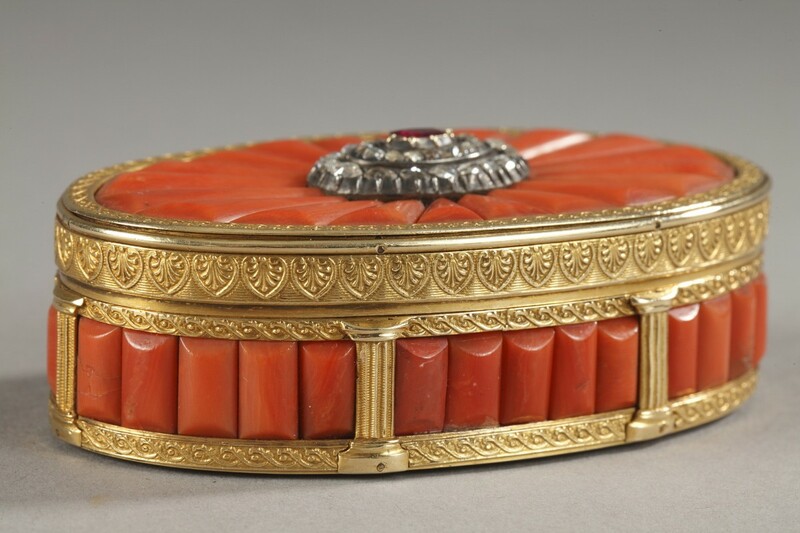 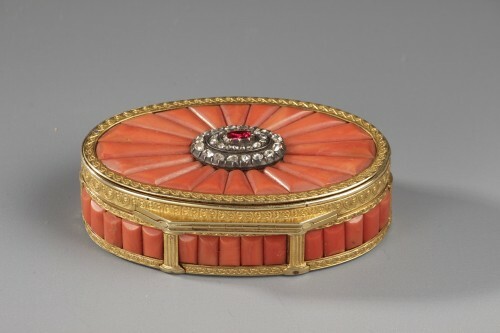 Gold, oval snuff box overlaid with coral panels. 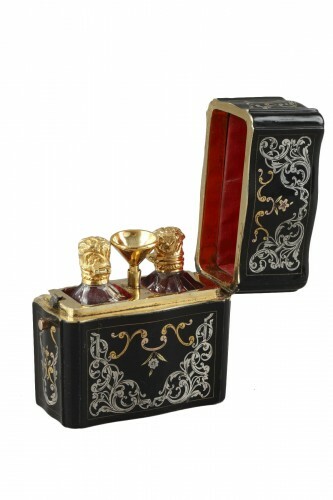 The hinged lid is decorated with a bouquet of rose-cut diamonds and topped with a semi-precious stone. 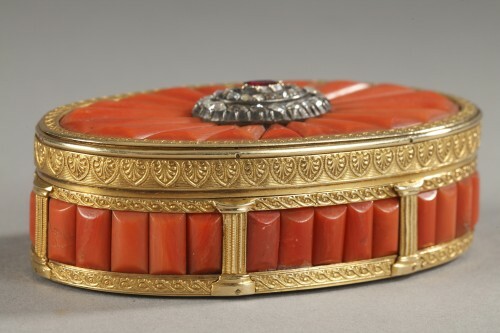 The body of the box is also overlaid with coral bands. 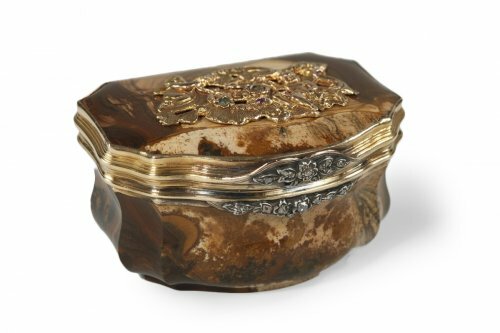 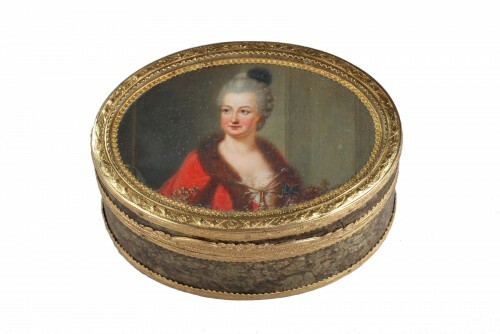 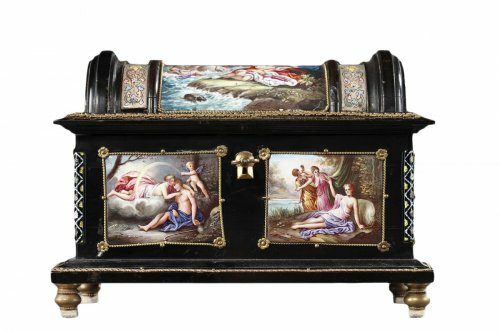 The box is framed with detailed palmette friezes, and the interior of the box is entirely lined with gold. 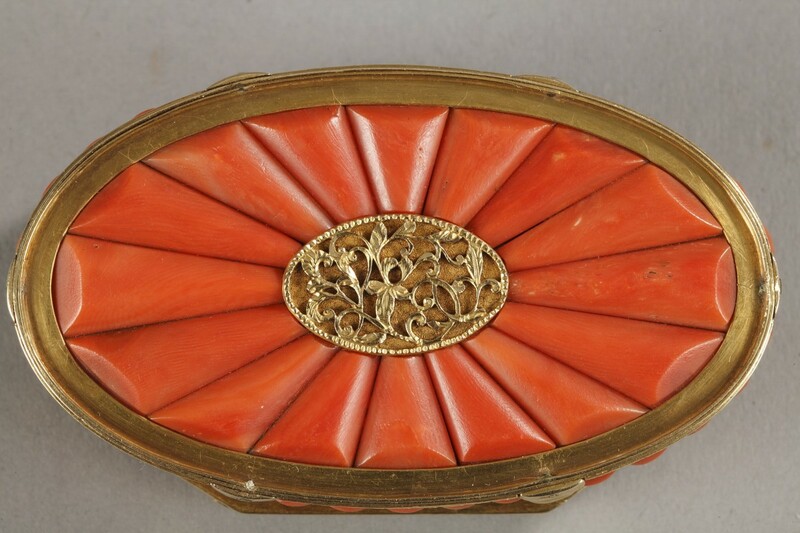 Non-French origin gold mark, probably Tunisian from the second half of the 19th century. 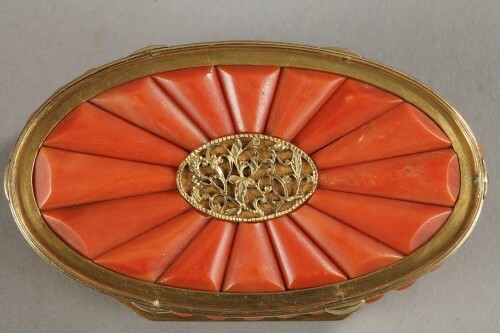 1856-1905.